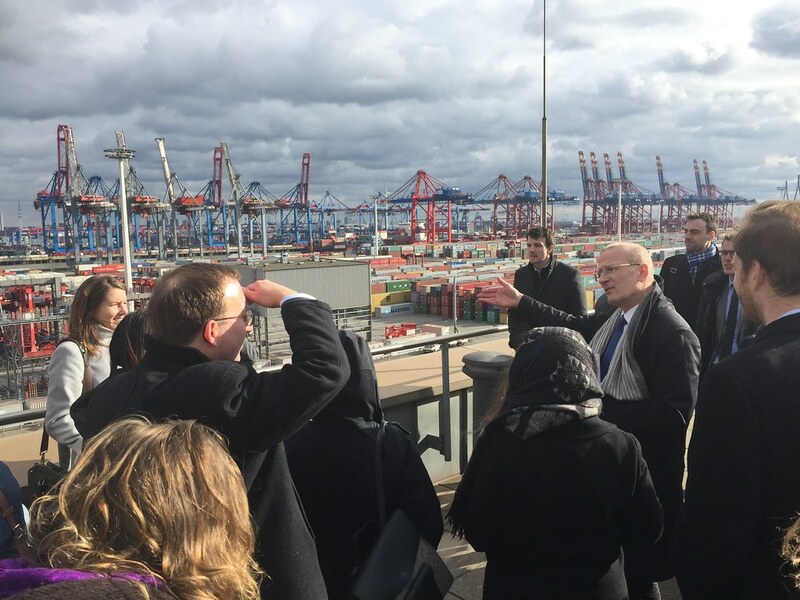 On the second day in Hamburg a visit at the port of Hamburg was scheduled. 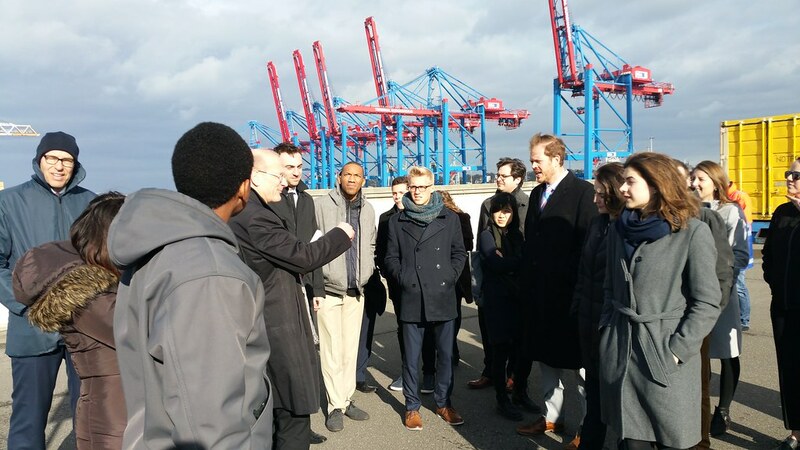 In the morning the group was transferred by bus to the site of Eurogate Container Terminal Hamburg. The mother company, Eurogate GmbH & Co. KGaA, KG is Europe’s largest container terminal company that does not operate vessels . 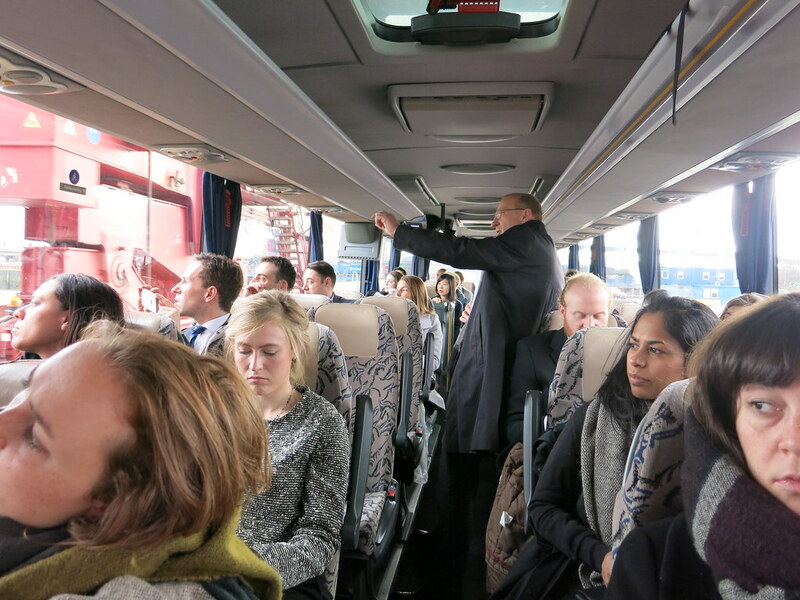 Gunther Bonz, CEO of Eurogate Hamburg welcomed the group and joined the bus. Mr. Bonz explained the details of the container business and the difficulties the company faces. Bigger vessels arrive less frequent which leads to massive peaks in workload for the staff of Eurogate. As the port is operational 24/7 Eurogate considers partial automation of parts of the logistic chain. 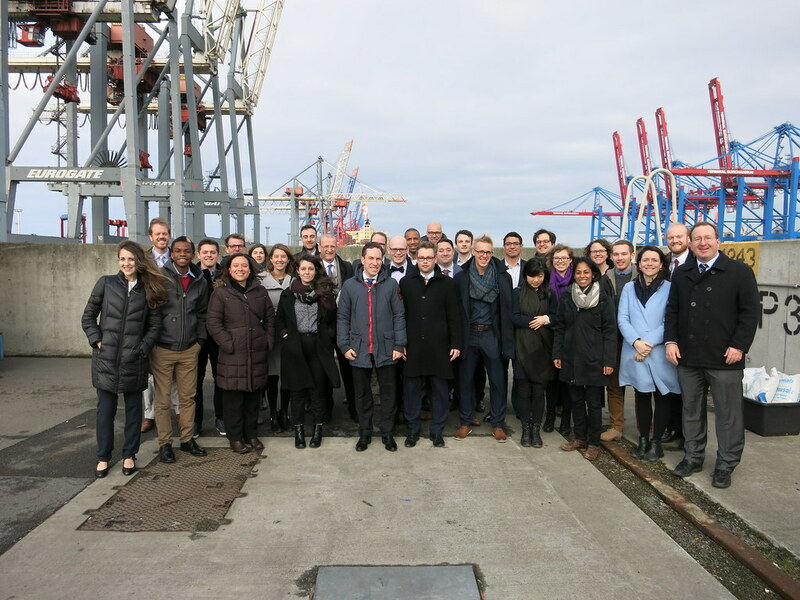 Eurogate participates in a pilot project supported by the German government to build fully automated vehicles that bring the containers from the container bridges to the temporary storage place and back. As different stakeholders operate the entire logistic chain from the producer to the client there is no overall optimization possible. Mainly the vessel operators try to realize economies of scale while they disregard the Hinterland operations that happen onshore. 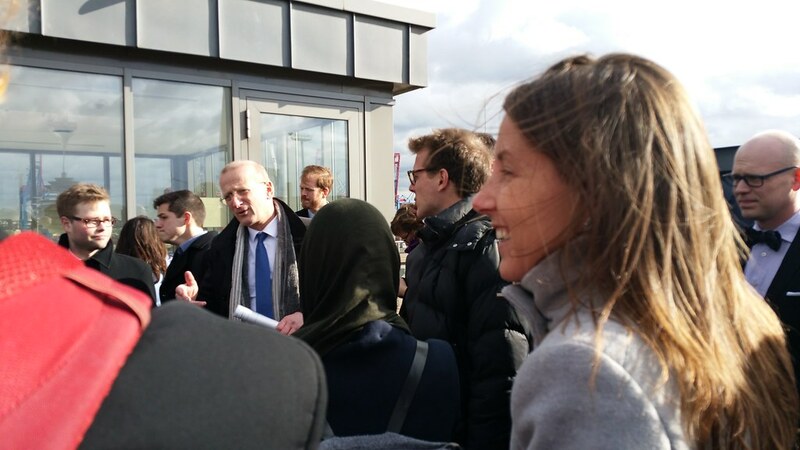 After the round trip on the site of Eurogate the group went to the office building to discuss the ideas and proposals of the group with Mr. Bonz. 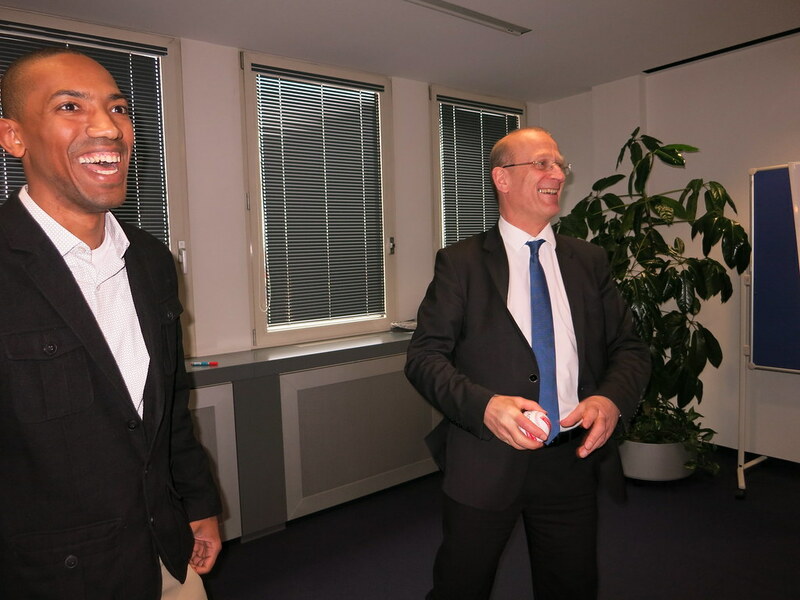 During this office session Mr. Bonz gave the group interesting input about his views on global trade. Lorenz Zimmermann presented the Memo of the economics working group. 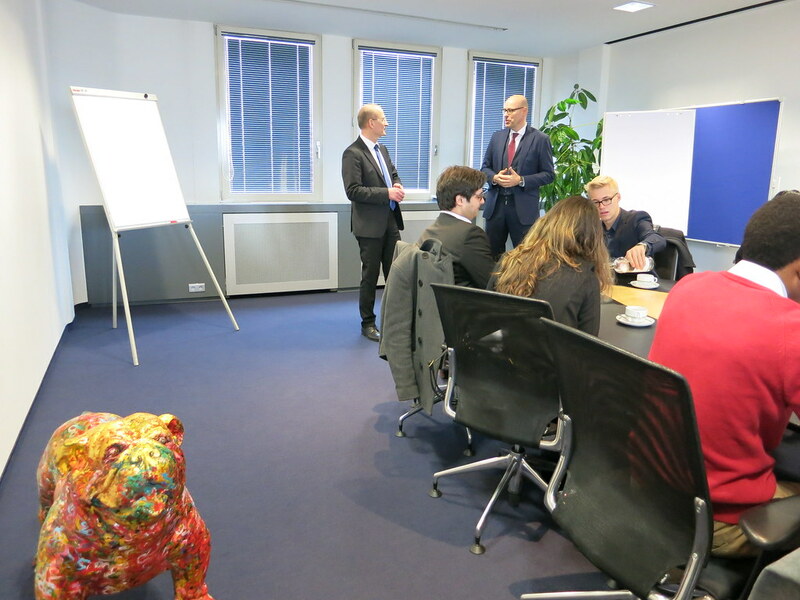 Mr. Bonz gave interesting feedback from the business side, from a company that is heavily involved in global trade. 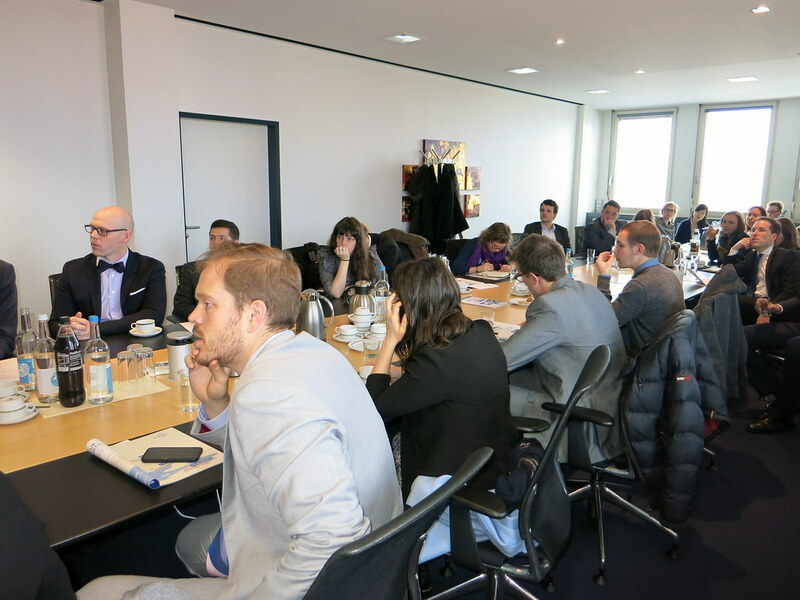 TTIP will not be a game changer for German trade activities. Rather a zero-sum game that moves between America and Asia. Regulation is the key obstacle for container terminal companies. Especially the different treatment of company acquisitions for port operators is not considered as fair. 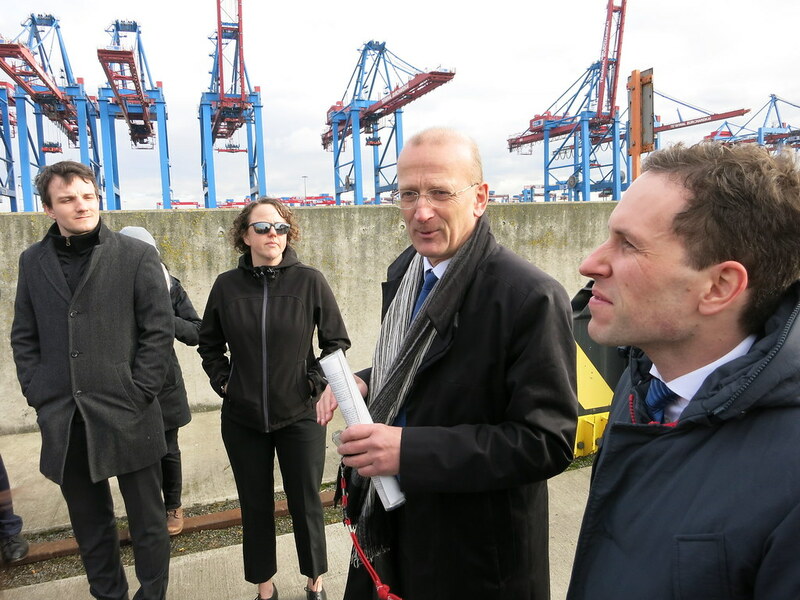 The EU is very liberal in allowing non-European container companies to buy ports in the EU. The other way round is usually rejected by national governments. The new Silk Road is less a threat to the container vessels than a strategic project of China to fully control the logistic chain from China to Europe. 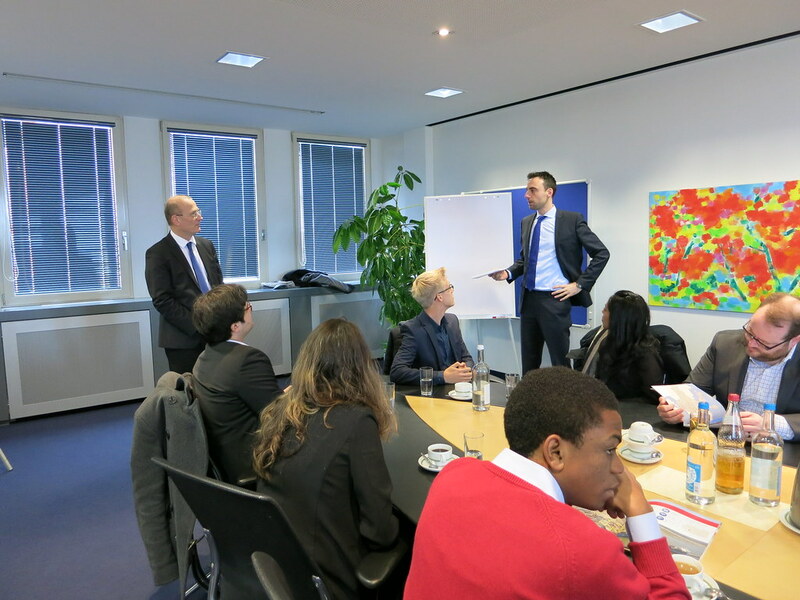 Manuel Schöb works in financial operations for the European Stability Mechanism (ESM) in Luxembourg.